Donald Glover, Director & Actor of the Atlanta, made history at the 2017 Emmys for being the first black person in this category to win Outstanding Directing for a Comedy Series! He was handed his award by the legendary comedic actor, Dave Chappelle, and in his acceptance speech, Glover thanked his parents, brother, FX and a best friend, Hiro Murai, who he cherishes for teaching him everything he knows about directing. 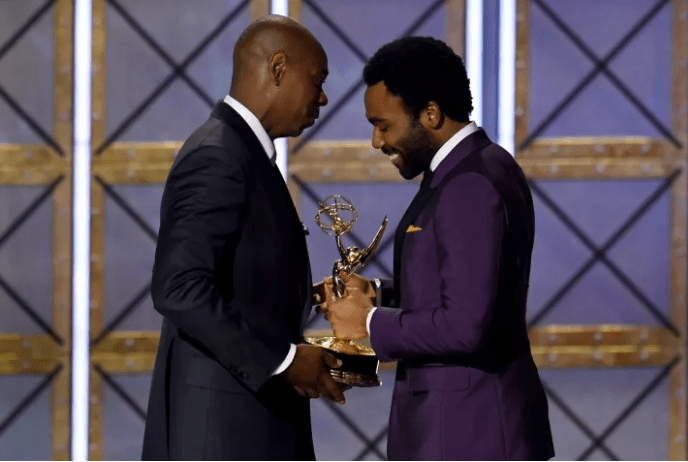 Making, even MORE, history, Glover accepted his second award of the night for Outstanding Lead Actor in a Comedy series which hasn’t been granted to a black person in 32 years. It is reported in BuzzFeed, Glover is in both the upcoming untitled Star Wars Han Solo film and The Lion King. We will be looking forward to his next projects and Oscar nominations.